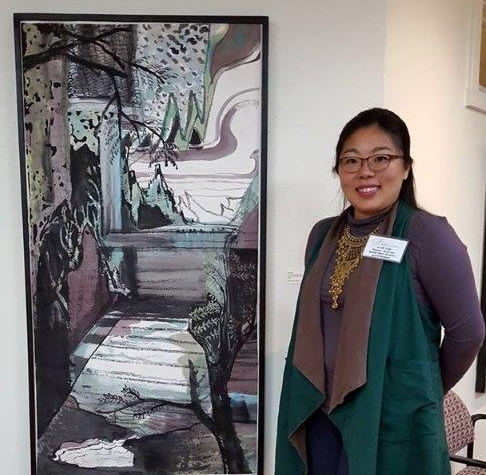 Si Jie Loo was mentored through AWoL by artist, Mary Heebner. She also served as an AWoL Board member. At the beginning of 2018, during a visit to see family in Malaysia, Si Jie, was invited to show 23 pieces of her artwork in a solo show, 'Physical Mediation", at the Hin Bus Depot in Penang. The venue is an abandoned bus station turned into an international creative hub. Over 2000 visitors, from Russia to Quebec, have seen Si Jie's solo exhibition.